Razer surprised many with the bold decision of making a dedicated gaming smartphone - a niche that hasn’t been covered, but it's also one that might not exists at all. 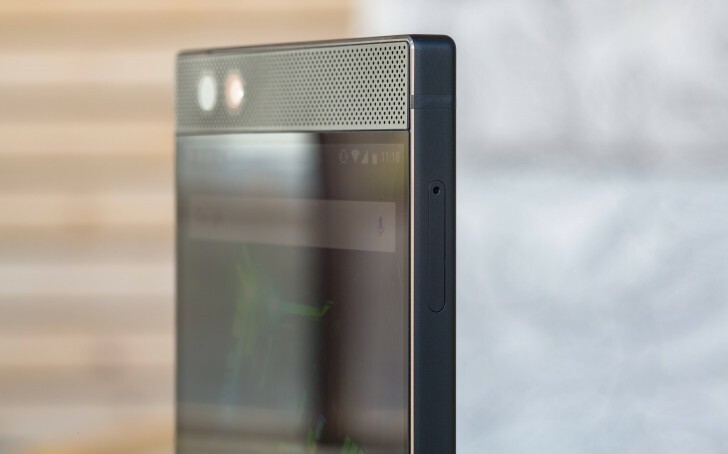 The Razer Phone came to light at a flashy event in London, and after a quick tour around the British capital where we took plenty of camera samples, now the device has landed in our office for a complete review. And we have some early impressions to share. Remember the cloud-based phone Nextbit Robin? It’s okay - you are not alone that forgot about it. Yet, when Razer acquired Nextbit at the beginning of 2017 rumors about a successor started appearing. 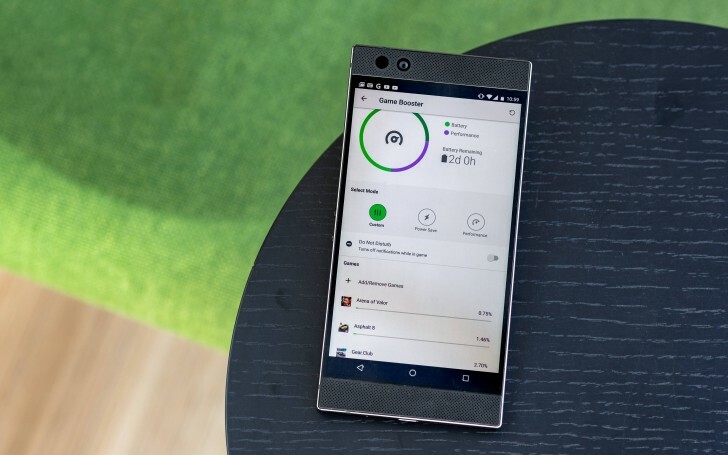 Fast-forward to the end of October, and we have the Razer Phone. When talking about smartphones, the design is a subjective topic. It also has a somewhat different meaning when companies are making gaming gadgets. Just look at any gaming laptop and its forms and colors - flashiness and distinctiveness come way ahead of the minimalist approach typically employed by phones. 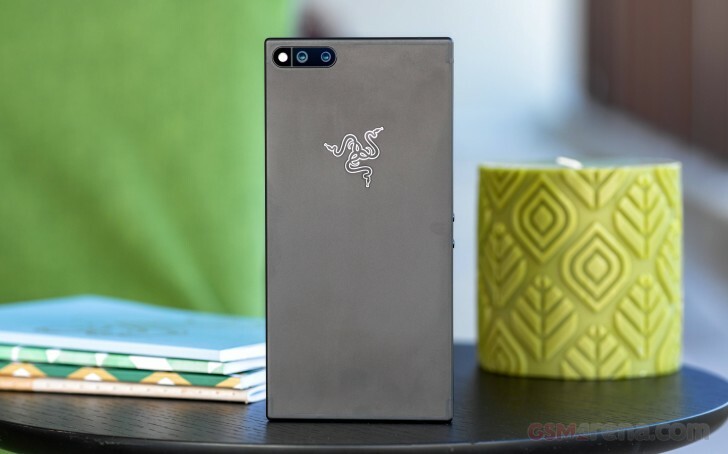 The Razer Phone comes somewhere in between - there are no RGB lights to be seen and even the logo comes in white rather than the traditional Razer green (not counting the special edition) and yet it's recognizable from a mile away. The Matte Black color is the sole option. The very ample grille bezels around the screen and the blocky form are unlike anything else on the market right now. On the other hand similarities with the Nexbit Robin are quite a few so this phone is at least as much Nexbit as it is Razer. We are rather fond of the unique styling in a sea of impossible-to-tell-apart phones. Then again, we wouldn't blame you if you think it stands out in the wrong way - after all there's very good reason minimal bezels and curved backs are so prevalent these days. Gamers want high framerates and Razer provides it. The Ultramotion display has a dynamic refresh rate that goes up to 120Hz - twice as high as any other smartphone in the market. There's just something about the buttery smoothness that it enables that once you see you realize you've been missing in your life. You also get a pair of capable THX-certified stereo speakers, but on the performance side the Razer Phone isn't doing any better than the other 2017 flagships with its Snapdragon 835. You do get 8GB of RAM, but even that isn't too hard to find these days. The Razer Phone tips the scales at 197 g, which is certainly on the heavy side, but the stability that extra weight provides is welcome when the gyroscope comes into play in titles such as Real Racing 3 and Asphalt 8. We are performing our normal battery of tests for on the Razer Phone and we'll deliver the complete review shortly. In the meantime, you can share your thoughts on whether we really need a dedicated gaming phones, or if the usual flagship do the job well enough. The bezels are actually two awesome speakers...! Look at those big top and bottom bezels. Brands are shedding bezels and this one is getting bezels.